One of the primary means of connecting scientists and anglers is through symposia that are specifically designed to achieve synthesis from both audiences. 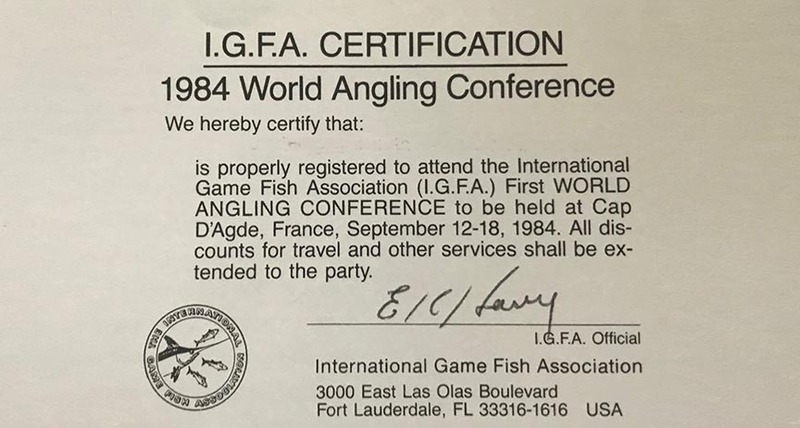 In September 1984, the IGFA sponsored the First World Angling Conference held in Cap d’Agde, France. This was the first conference devoted solely to recreational fisheries issues that brought together the angling and scientific community to discuss issues related to the sport. The conference was a huge success and attracted 251 registrants from 48 countries. It also laid the groundwork for what would become the World Recreational Fishing Conference (WRFC) series, which is the only conference series of its kind for the recreational fisheries sector, both freshwater and saltwater. The conference series target groups are representatives from NGOs, management agencies, the tackle trade business, angling tourism and multidisciplinary sciences. It highlights trends, recent findings and interesting experiences across continents and within the angling community.